Wow, it's the end of September! We're having our Indian Summer and the weather is beautiful. 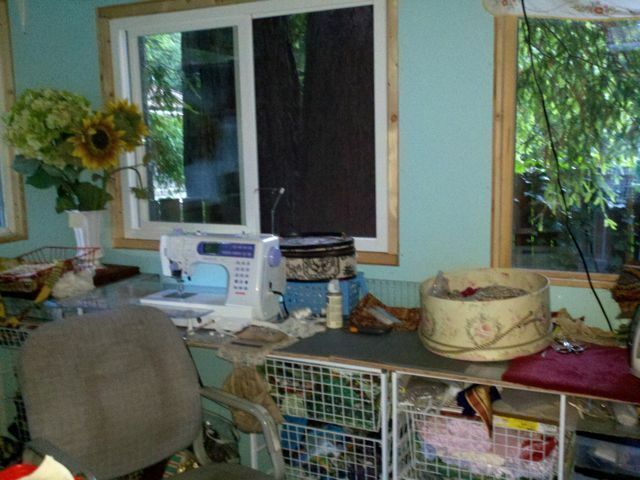 Here is my finished Sewing Studio, built by my wonderful husband! This is where I've spent most of the last month, other than last week at Art is You in Petaluma. 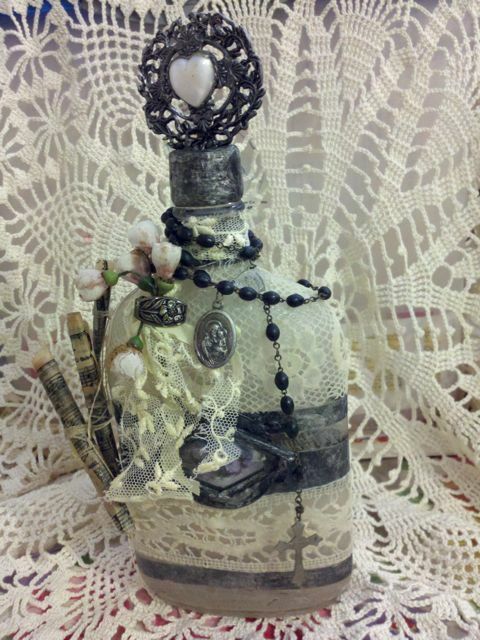 (There's a picture of the decorated bottle I made further down this post. 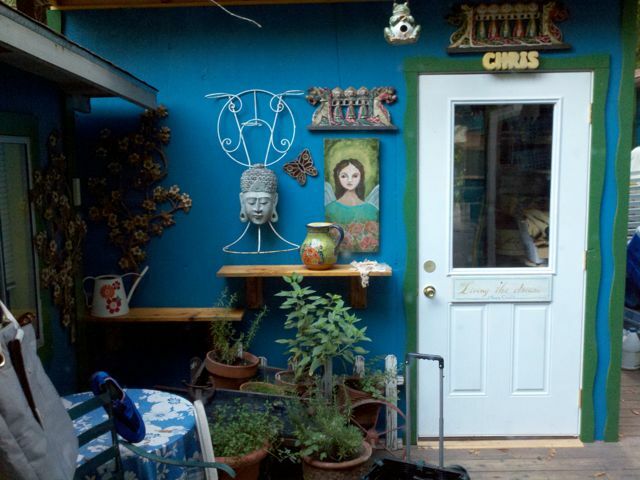 He built it on our back deck, creating a wonderful little courtyard. It's fun to sip my coffee here, or to hang my coffee dyed laces to dry. My lovely view, while I'm working. I look into the heart of two precious Redwood trees through one window. It feels so protective and quite spiritual to be working under them. It feels so personal, like they are sharing space with me. 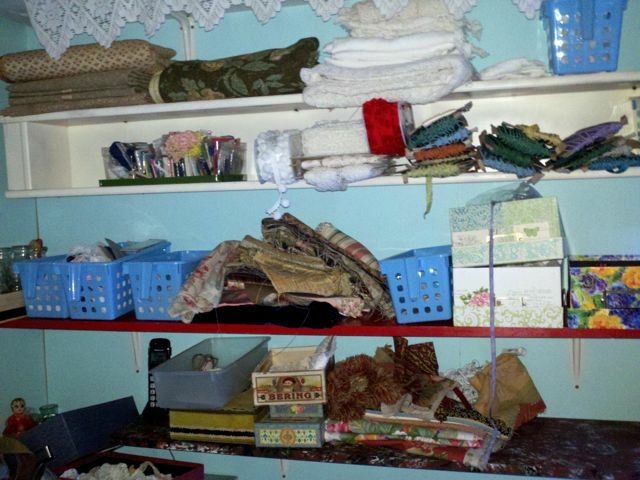 I haven't really organized these shelves yet... been too busy sewing my new bags! 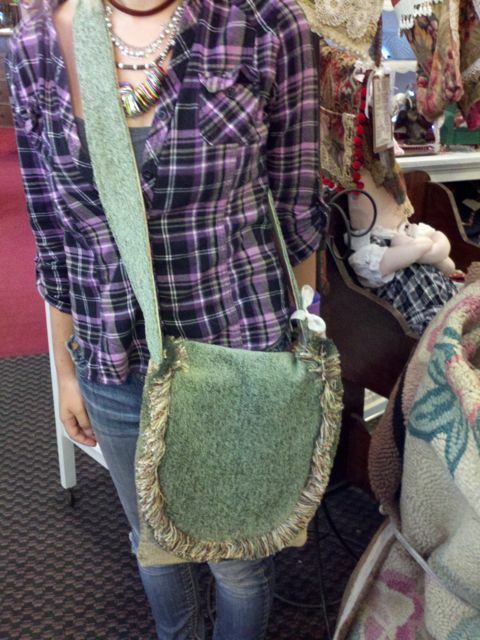 Here are the last eight bags I made. I've hung them on a "Bag Tree" at the shop, and will be listing them on Etsy to sell. 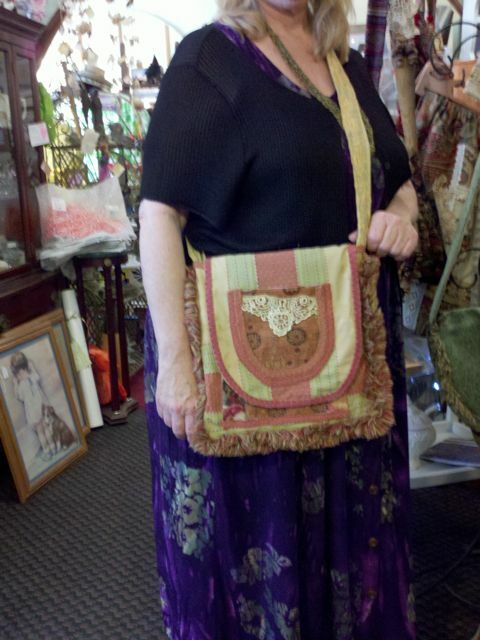 I just feel so at home, peaceful, creative, and full of joy, creating these bags. Visit my Etsy store to see! CLICK HERE! 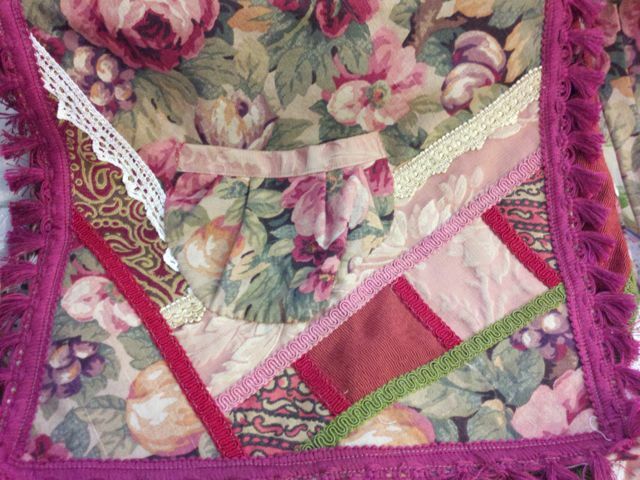 I love this vintage cabbage rose fabric! (from a local estate sale. She had a huge trunk full of fabrics!) 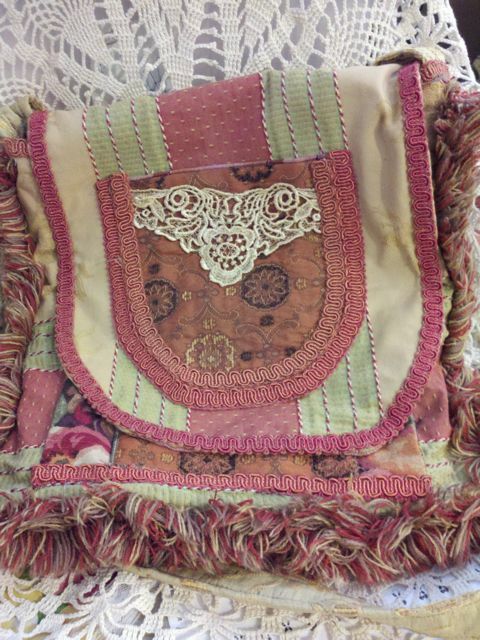 You can see lots of laces and other fabrics I patchworked into this one. 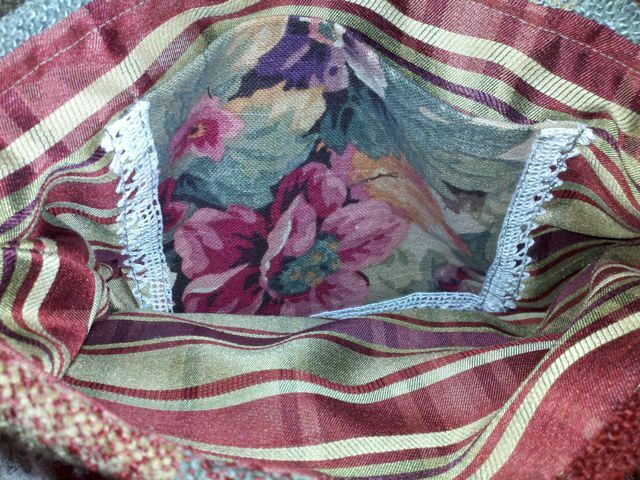 The little pocket is hand sewn. I love the inside of each bag. It's kinda about not just looking good on the outside, but looking good on the inside too. 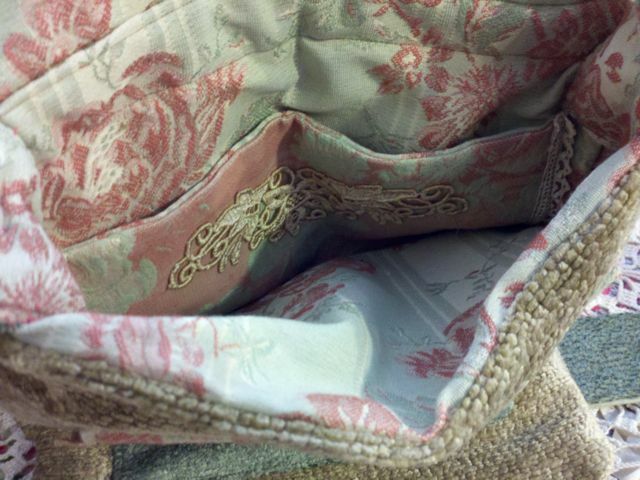 Every seam is finished off, and most lined with laces. Even the pockets are all lined. 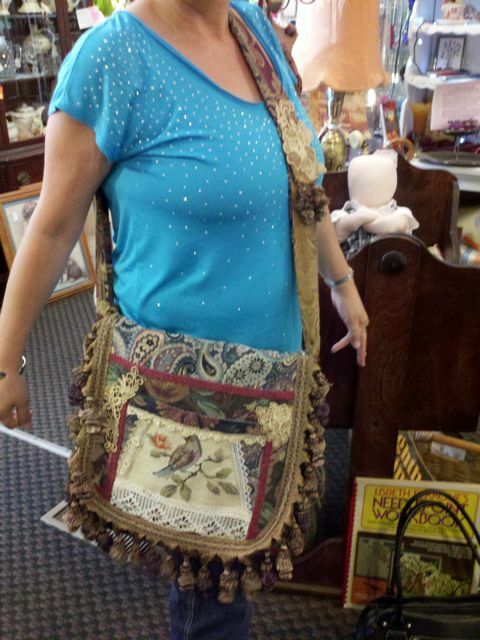 This was actually a pillow gone awry.... from the same estate sale. Apparently she got fumbled up in the fourth side and it was a mess, so she threw it into the trunk. I just cut off the fourth side, and made it into a bag. 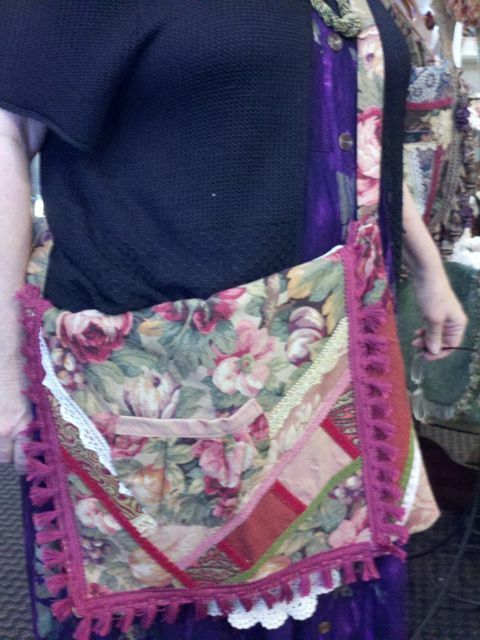 Fortunately, she had some large pieces of the lovely pink and soft green fabric. 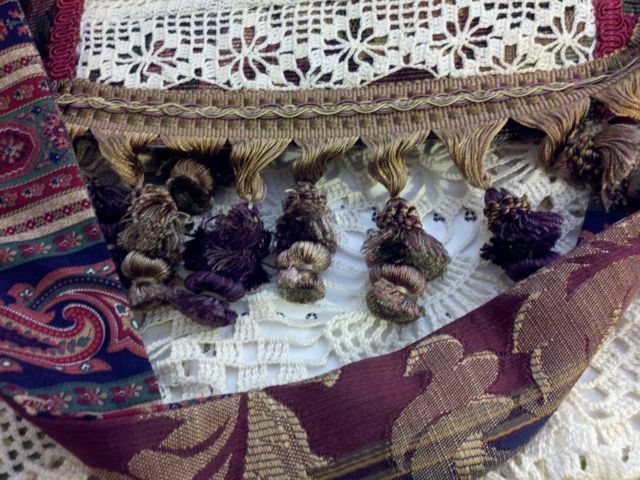 My friend Glenda has given me tons of fabrics, trims and laces. (Thank you Glenda!) 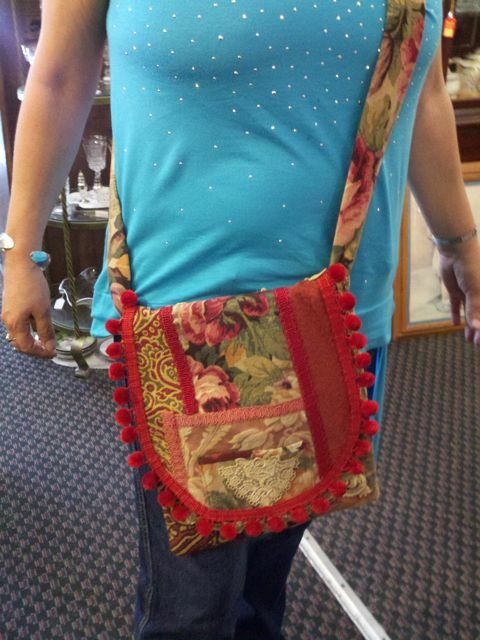 I think the 4" fancy ball fringe looks great on the flap of this bag. 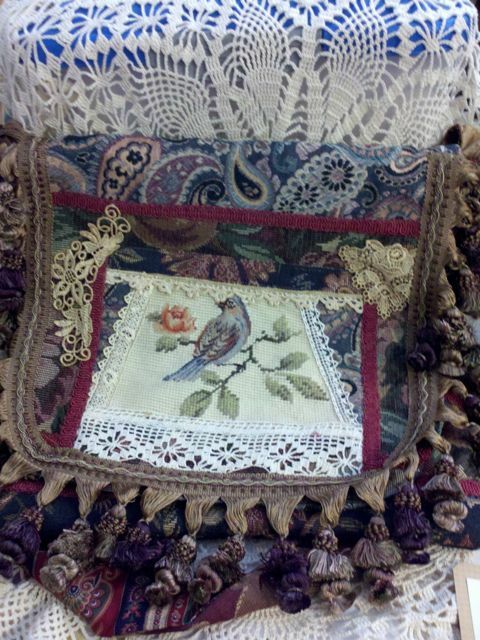 The bird is actually a very old needlepoint. I LOVE this bag. 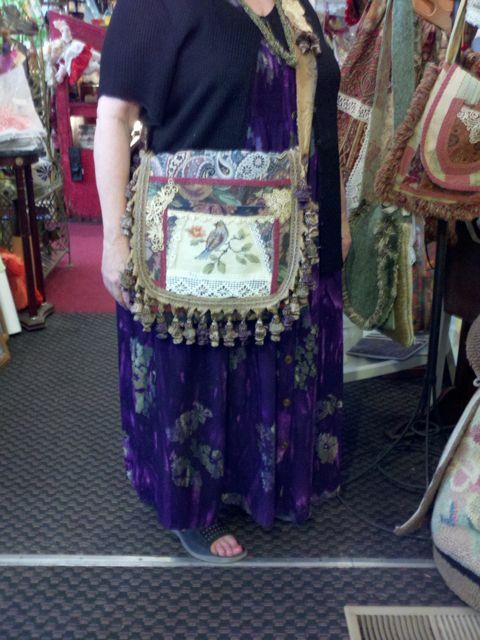 I call it my Gypsy Carpet bag. All of my bags are 'cross body' bags, with long straps. I found this set of 1950's handles on Etsy. 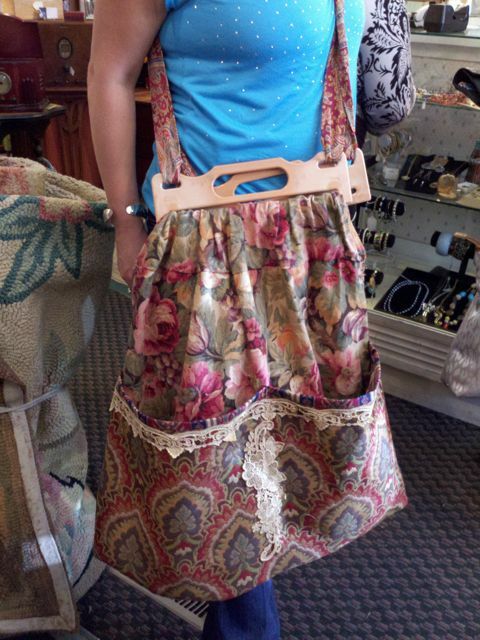 They make this bag versatile... you can hold it either way, or both, if it's full and heavy. Arrgggg.... I thought I'd try using the soft and wonderful chenille. Opps.... very, very thick to sew through. But I think it turned out quite nice. It feels so sweet and comfy. So.. this is what I've been doing all month! September was wonderful!